Book 3 of The Survivalist Series When society ceases to exist, who can you trust? After the collapse of the nation's power grid, America is under martial law--and safety is an illusion. As violence erupts around him, Morgan Carter faces one of his most difficult decisions yet: whether to stay and defend his home, or move to a more isolated area, away from the prying eyes of the government. He and his family are hesitant to leave their beloved Lake County, but with increasingly suspicious activities happening in a nearby refugee camp, all signs point towards defecting. Morgan and his friends aren't going to leave without a fight, though--and they'll do anything to protect their freedoms. 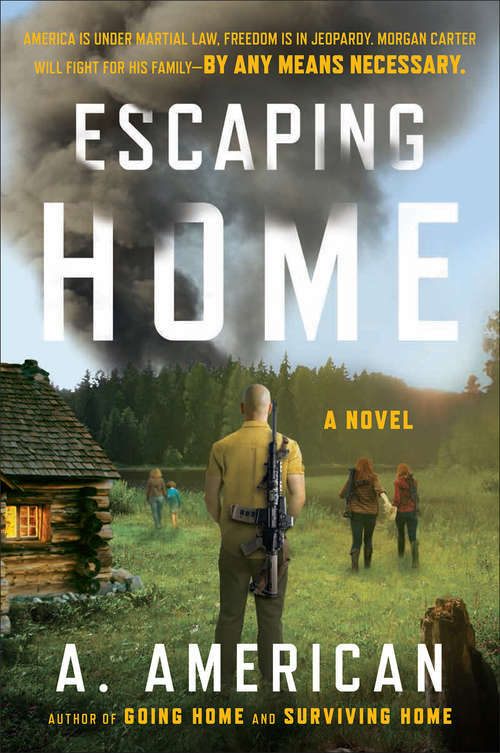 From the author of the hit survivalist novels Going Home and Surviving Home, Escaping Home describes the struggle to live in a world with no rules, and how, sometimes, the strength of family is the only thing that can pull you through.